We have packed up our belongings and left our jobs. We only need to sell our cars before making the big move to Australia at the end of the month. I do not have any advertising on this site normally so this will be the only exception. This is my faithful little runabout. DAIHATSU CHARADE 1.0, 5 door Hatchback, 2006 Manual 5 speed in metallic silver. 43,108 miles. 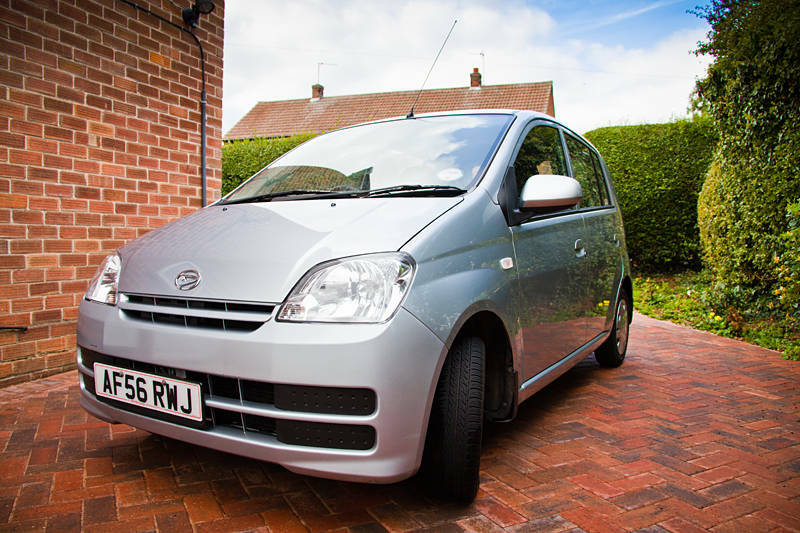 Most economical petrol-engined four-seater in the UK. Upto 69mpg. Top of the range SL model. Alloy wheels, ABS with electronic brake-force distribution, speed-sensitive electric power steering, air-conditioning, driver and passenger airbags, central locking and electrically adjustable door mirrors, engine immobiliser, upgraded stereo with USB and SD card slot. Full Daihatsu service history, CO2 114g/km so only £30/year to tax. Cheap to run, fuel, insure and tax. Saves you more money than any other car. Throw away your bus pass, get a Charade. Only £2495. Karen is also selling her Fiat Grande Punto 1.4 Dynamic Sport for £3995. If you are interested in either car give us a call on 0770 6970 675.